Want it by Wednesday 24th April? Order within 4 days, 19 hours, 55 minutes and choose Next Working Day - Kerbside Delivery (Order Must be Placed by 2pm) at checkout. In one of our most popular finishes, this Smart Choice European Engineered Brushed and Oiled floor will make a lot of customers very happy! At 14mm thick with a 2.5mm Oak Veneer, you will get all of the visual benefits of a solid wood floor, without the extra price tag. The 180mm wide planks mean that this floor will look best in a more open environment, as the space will make more of a visual impact upon entry. This floor is treated in 2 ways - firstly it is coated with 5 layers of aluminium oxide to enhance it's durability, and then oiled to maximise the beauty of the floor. It is finished with a steel comb treatment, which brings out the natural grain of the floor to make it look and feel stunningly beautiful. 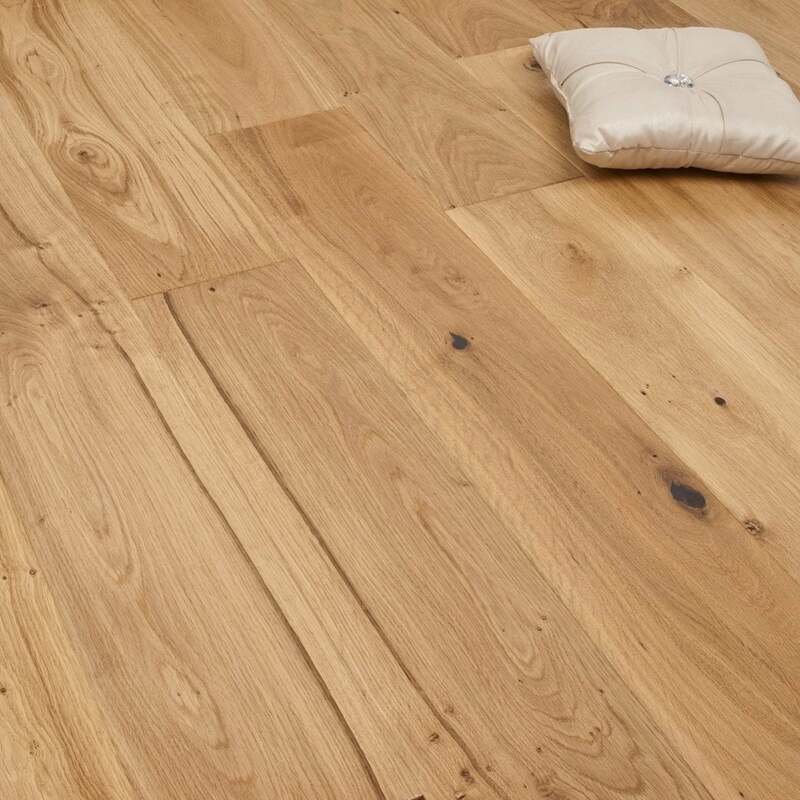 Don't forget before buying your floor that colour scheming is important: this is a very mid shade of oak, so it sets the scene for an ambiguous style. You can go for the uber chic metallic and contrasting style, with lots of open space and minimalist colours - monotone furnishings will sit fantastically on this floor. Alternatively, you have the option to go for a more comfy and homely style - a plush rug and fabric suite will give an overall warm sense to the room this is in. The best way to decide on whether or not this floor is perfect for you is to order your FREE SAMPLE today! The colour was just as we expected. I particularly liked the width of the this flooring, which is generally wider than other samples I have, and this will hopefully make for a better quality look when it is laid. Perhaps a few more knots in the full size sample is likely but the wood itself and service so far look very promising.